Ted Kremer is the executive director of the Greater Rochester (N.Y.) Regional Health Information Organization, which is providing health information exchange services to a 10-county area in western New York. Kremer is the only AMDIS award recipient this year who isn't a physician. “It's a little intimidating, but I'm honored,” Kremer says. Rochester RHIO, as it is less formally known, was founded in 2006—with Kremer hired as its first and thus far only executive director. It used $4.4 million in state grants and $1.9 million in support from hospitals, health insurers and local businesses to get launched. It has received another $12.8 million in subsequent state grants and began offering IT services in 2008 with 26 physicians in five practices. The RHIO now offers 1,700 healthcare providers, including 500 physicians, a range of services, including electronic prescribing, patient medication histories, electronic health-record support and clinical messaging, including medication, laboratory and radiology reports from member labs, hospitals and radiology centers. Recently, it began offering emergency physicians in six hospital emergency departments access to patient information through the exchange. In New York, patients must consent to the use of their protected health information, even for treatment, payment and other healthcare operations. To accommodate New York law, the state has developed a privacy guideline that state-funded RHIOs must use. According to Kremer, more than 350,000 patients have signed consent forms thus far. But even patients who have withheld consent can have their records accessed if they are involved “in a life-threatening emergency,” unless the patient has specifically declined consent to a particular provider, according to the organization. 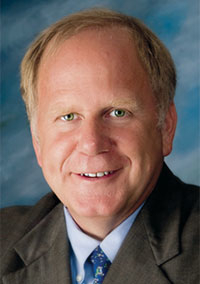 Kremer holds a master's degree in public health from Yale University and is the former chief technology officer of Oxford Health Plans, Trumball, Conn., now part of UnitedHealth Group.